Quality 6.5hp Stationary Engine with 2:1 reduction and built in centrifugal wet clutch with 22mm output shaft. 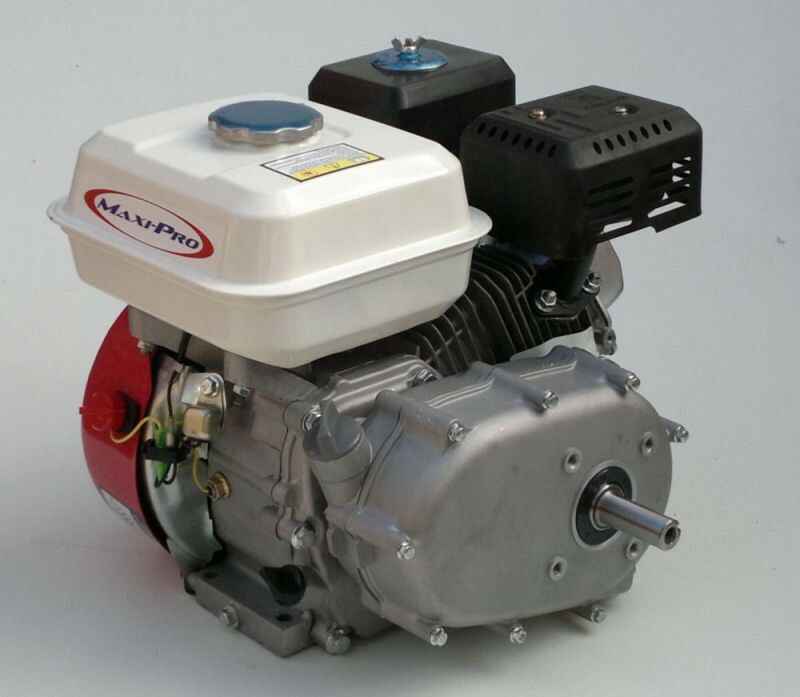 These horizontal shaft Stationary Engines can be used as replacements on a wide variety of different applications such as; water pumps / go-karts / compressors etc. The engine is fitted with a 2:1 reduction gearbox giving half speed of 1800rpm max. It also has a 22mm shaft with key way, with a low oil shut off fitted as standard. Please Note: The reduction gearbox is also supplied without oil and requires oil before use, this is typically the same as you would use in the engine sump as described above. Base footprint is the same as most Briggs & Stratton, Honda and other similar engines of this size.